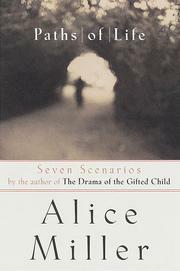 A few good stories, but otherwise not much is new in these seven short fictions depicting characters struggling with, and sometimes growing beyond, “traces of earlier fears, uncertainties and deprivations.” This is the first venture into fiction for the prolific, but increasingly repetitive Swiss psychoanalyst Miller (Breaking Down the Wall of Silence, 1991, etc. ), and it’s not a happy one. Her characters’ often come across as stilted, as if they were lifted from case reports. There’s some real drama in their struggles to cope with the memory and the legacy of childhood’severe emotional neglect and, in some cases, physical or sexual abuse. But, as in many of Miller’s other writings, an antiparental bias is evident, and her characters sometimes express an unjustified sense that they have a complete understanding of what has happened to them. One, firmly convinced that her father sexually and physically abused her when she was an infant, actually informs her husband, “I know the whole truth now.” Can anyone possess “the whole truth” when it coma to interpersonal relations? Miller follows her seven fictions with a short, interesting essay, “Gurus and Cult Leaders: How They Function,” and a considerably longer, reductionist one entitled —What is Hatred?” In the latter, she claims without bothering to cite any evidence, that “there was a universal abuse of infants” in Germany around the turn of the century and that one consequence of corporal punishment against children in that country was “genocide and the toleration of genocide.” Her claim is a case of psychohistory at its most speculative and ahistorical. In general, there is considerable evidence in the professional literature and in memoirs and biographies for what Miller writes about in that essay—a significant number of adults were emotionally neglected or abused as children—but romanticizing the victims, reducing history to one dimension, and otherwise overstating the case is a poor way of makingthe point.